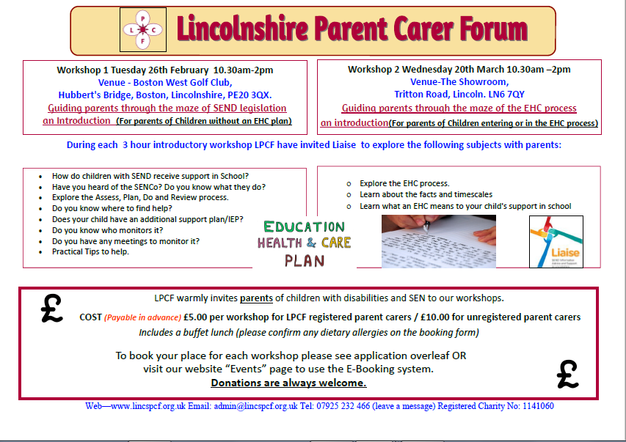 The attached document provides details of other workshops being run by the Lincolnshire Parent Carer Forum. These courses are for parents who want to know more about support surrounding the graduated approach (the assess, plan, do, review cycle) and the EHCP process. Please see Miss Gladding if you have any questions about these workshops.